A very interesting fight seems to be brewing between two activist investors, the brash young CEO Sardar Biglari of Biglari Holdings and Groveland Capital. A tiny hedge fund with a 1% position in Biglari Holdings is trying to nominate its own board. Sardar Biglari, one not be backed down, published the following presentation in response to Groveland’s nominations and presentation here. 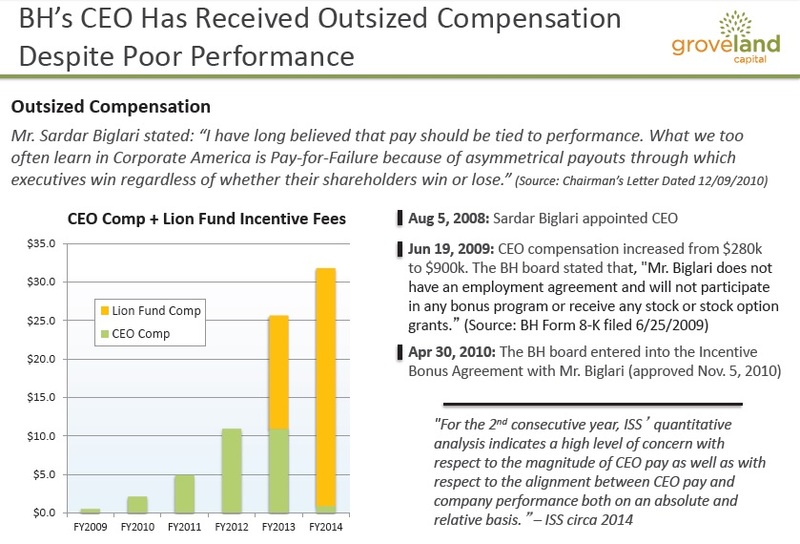 The main thrusts of Groveland objections are under performance against the S&P 500 and excessive CEO compensation. From the first snapshot below, from a 1-year, 3-year and 5-year perspective, it does look like Biglari Holdings has under performed the S&P 500. In the long run, the stock price is the true indicator of value creation. Looks like Groveland does have some merit in their 5 year argument. We will look at Biglari Holdings 6 year test later. The compensation for Biglari holdings has increased quite a bit with the Lion fund compensation that he has been getting over the last few years. So, it is indeed true that fees do look high with respect to the under performance versus the S&P 500. We will dive into the actual performance of the Lion Fund later. Biglari shot back with his own presentation in which he included the 2009 results to the mix. As all of us know, 2009 was when the markets started rising like a phoenix from the ashes. 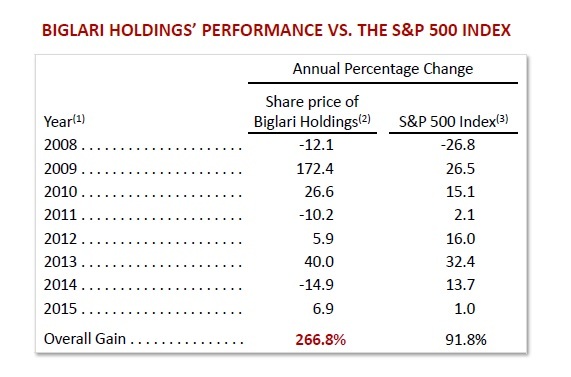 When we include the results of 2009, it paints a very different picture of the performance of Sardar Biglari against the S&P 500. The question is it fair to include the 2009 results? Is 5 years a sufficient time frame to do reasonably well as against the market? 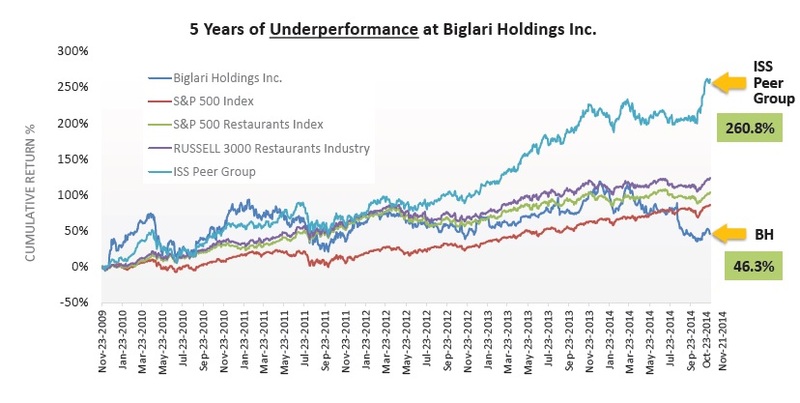 Granted that Biglari Holdings had one great year in 2009 but since then the stock has not performed so well. When we look at the underlying business, there has been two rights offering as well where the shares have been diluted from a shareholder perspective. 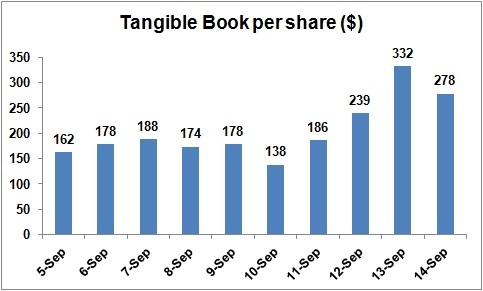 Given the disparate nature of the businesses owned by BH and dilution, perhaps growth in tangible book value per share is a better indication of the value creation at BH as against just the operating earnings. The one, two, three and five year CAGR’s are -16.3%, 7.9%, 14.2% and 9.3%. So, compared to the S&P 500 5 year CAGR of of 13.2%, it does look like the value creation has been sub par as against the market. It must be noted that even Warren Buffet has under performed during the last few years but on a company that is several hundred times bigger than BH. To justify the performance fee that Sardar Biglari has been drawing through the Lion’s fund, BH put up the following performance to justify the performance. 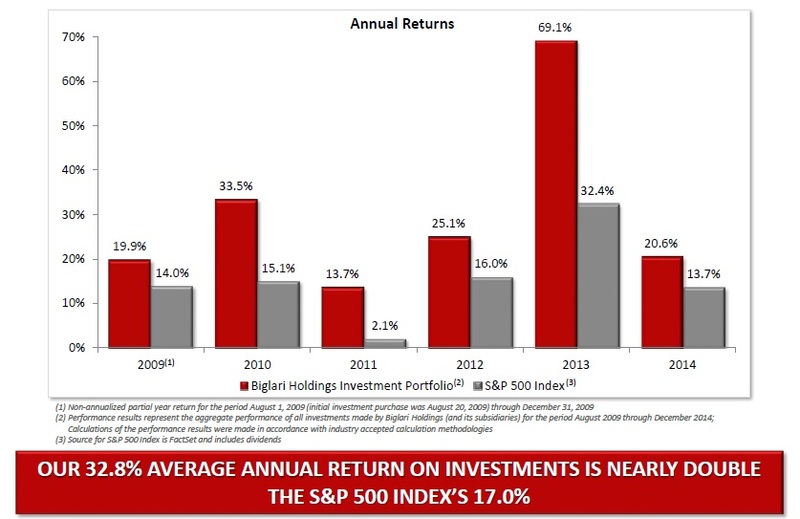 The below chart shows outperformance every year as compared to the S&P500 but it has not resulted in book value per share gain for share holders even with the investment portfolio marked to market in the balance sheet. While it is not clear how groveland capital can add any more value to this situation, it is also pretty clear that BH has not been creating tangible book value per share growth in meaningful way for shareholders to consider investment over the market. With a ego-driven CEO, untimely rights offerings, over the top compensation, the cautious investor’s best position would be in the grand stands watching the fight rather than participate in what will be a colorful match of activist investors.